Inverse Square Law of Light is something we all hear and know about, but don't always know how it really affects our photography. We always hear the math and the science behind it, but there is nothing like seeing it in a visual way to fully understand it. For people like me who find it hard to deal with math equations, those 2 great videos by photographer Karl Taylor will show you the important basics about the law you should know. 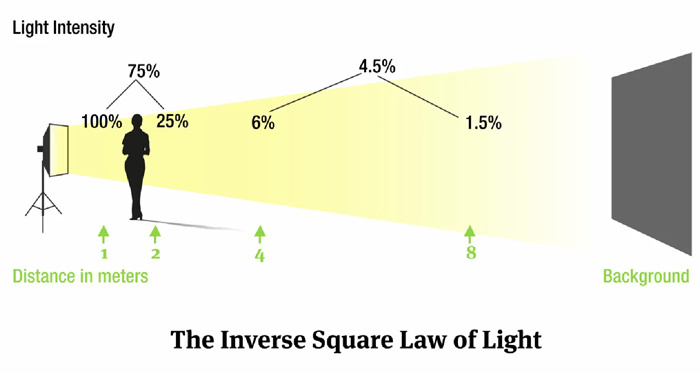 Inverse Square Law of Light is basically the intensity of light radiating from a light source (strobe, flash, hot light etc) and how the intensity of the light is (inversely) proportional to the square of the distance from the light source. Yes, this may sound like something only scientists need to know, but it is very important for any of us to learn and know. Understanding the concept can really change the way you see light and how you set up your shots in order to produce better photos. The videos above and below are just quick educational videos covering the basics of the law in a visual way. In the near future we'll be posting some in-depth tutorials about the topic. 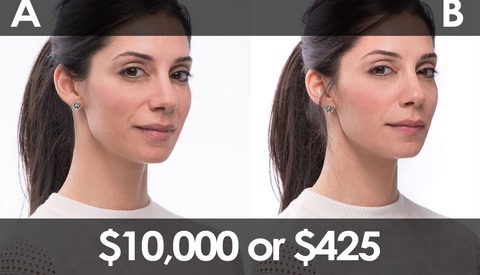 Noam Galai is a Senior Fstoppers Staff Writer and NYC Celebrity / Entertainment photographer. Noam's work appears on publications such as Time Magazine, New York Times, People Magazine, Vogue and Us Weekly on a daily basis. I have notes that would really help people with the Inverse Square Law, which is probably the most important thing in studio lighting. Yeah, i'm travelling so i'll upload it when I get back. Agree, it's the most importat thing to understand when lighting. In my workshops I always stress "the light fall". While we appreciate the articles of ours that you have posted in the past we would prefer if you didn't use them to plug other photographers training especially when you clearly know that we also sell training? I'm actually still waiting for Patrick to come back to me about an advertising opportunity with stoppers that we spoke about? We hope in future you will consider not using our content to promote other people's training, from our perspective it seems a little inappropriate. Hmmm... I was under the impression that anything on Youtube is shareable; that's what the platform is for. If you didn't want this content shared, Vimeo Plus offers the ability to choose exactly where your videos can be embedded. It's not the sharing part that Karl is referring to, it's the etiquette behind pimping an Fstoppers product on the back of his video which links to his website that offers photography education for sale. It's a fair request and very polite request to just share his video without mentioning another product. I'm sure they'll work it out, they all seem like reasonable and nice people. OK, edited the post for you. Hi Noam, thanks for that and I hope you could see our point. I think if it had been the other way around Peter could have had reason to be a bit put out by it. Anyway thanks for fixing it, if all of these comments are now redundant feel free to delete them so it doesn't confuse other people reading the post. Cheers Karl. I watched the video and i must say This guy, Karl Taylor, really knows his stuff. One thing..the characteristic of the light will also change. The bigger the distance, the smaller the lightsource and the harsher the light on the object. 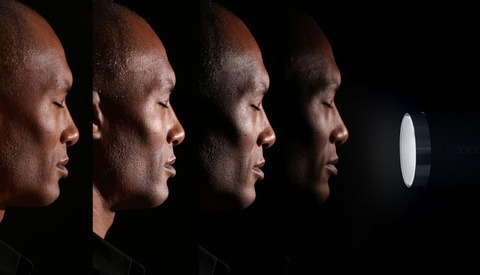 This is a wonderful explanation of Inverse Square Law! I thought I understood it already, but this seems like an example I never thought of. This would be very important for group photography. I’ve retouched some group images where the one of the side strobes did not trigger and this is not fun to fix in post. Great example. Sometimes we forget the most basic things that we see every day! I may be mistaken, but doesn't the inverse square law also relate to softness of light on the subject with closer lights creating a softer more flattering effect and lights at a distance producing harsher lighting? Not sure if it's the inverse square law or something else, but I figured it might be worth noting. Sam that's more the quality of light, rather than the fall off and strength. But yes, the closer and larger the source (relative to the size of your subject) is what gives light a softer quality. In the 2nd half of Part II, a better way to show ISLL would be to change the power of the softbox to f4 at the closer distance to the subject. Then you can compare the background brightness change. The background would naturally go darker when changing your exposure to f9.